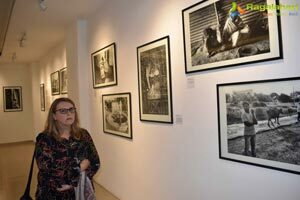 Hyderabad, September 22, 2017.....The 3rd edition of Indian Photography Festival kicked off here in the city at State Art Gallery on Thursday night. 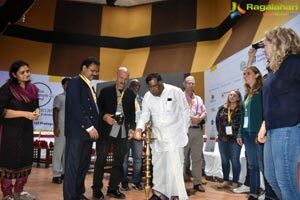 Tourism Minister Azmeera Chandulal inaugurated it by lighting the lamp. B. Venkatesh, Secretary Tourism, Govt of TS also graced. 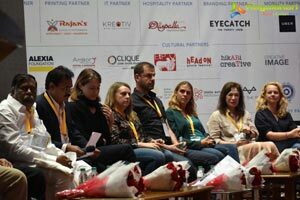 The festival showcases a wide range of photography from India and around the globe with a series of events, including talks and discussions, portfolio reviews, book launches, screenings, exhibitions, workshops etc. 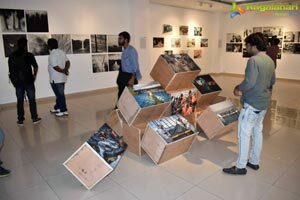 It has Featured Exhibitions, Artists Talks, Panel Discussions, Portfolio Reviews, Photography Workshops, Open Studios & Book Launches. The festival will go on till October 8 and is open from 10.30am to 6pm on all the days. They entry is free, except few select workshops. 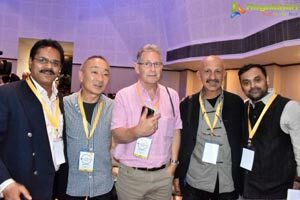 The inauguration was graced by Photo Journalist and NatGeo Explorer Reza Deghati; the Photographer behind the 'Tank Man': The iconic image that China doesn't want us to see, Stuart Franklin; War documentary photographer, Andrea Bruce also graced the function. The festival features other distinguished photographers who include Kate Geraghty, Photo Journalist from Sydney Morning Herald from Australia; Helena Schatzle, Documentary Photographer from Germany; Cecilia Paredes, a Fine Art Photographer from Peru; Natan Dvir from Israel; Q Sakamaki, Documentary Photographer and Cp-Founder #everydayjapan & Hikari Creative from Japan. 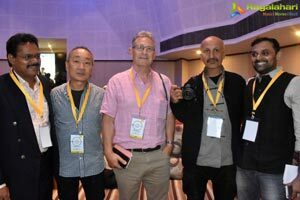 Photo Editor of PTI, Gurinder Oscan; Photojournalist Sudharak Olwe, Prashant Godbole all from India will also took part in the inaugural function. 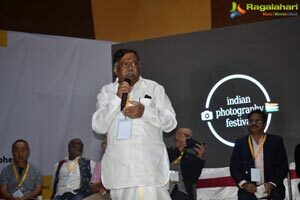 Speaking on the occasion B. Venkatesham, Secretary Tourism, Govt of TS said within two years the IPF is has now become the India’s biggest photography festival in terms of countries participating and photographers showcasing their works. 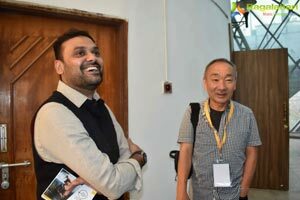 It will be our endeavour to make it the Asia’s biggest festival in the near future, he told the gathering. 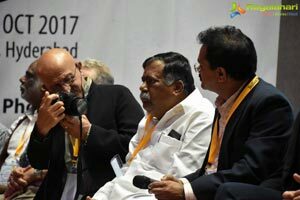 TS Government is committed to make Hyderabad, the hub for photography. We are witnessing 30 to 40 per cent increasing in the participation, to hold. 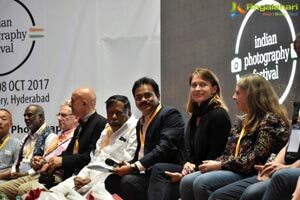 He told the visiting photographers from various countries to go out and witness Bathukamma celebrations and click pictures. Hyderabad is a mini India. Hyderabad is a meeting place of India. When you are in Hyderabad you don’t feel like in south or north of India. You feel like staying in real India. The city is the abode for the people from different regions, he told the visiting photographers. The minister gave away prizes to the winners of IPF Portrait Competition 2017, whic h is initiated this year. Anuja Dasgupta bagged first prize and walked away with rs 50,000 cash prize; Tarun Chouhan, second prize and Rs 25000/- cash prize and Sandip Bose, 3rd prize and Rs 10,000 cash prize. They were also given very useful phogoraphy accessories. The cash prize was sponsored by Tourism Department. 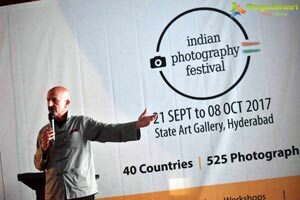 The inaugural was followed by Key Note address by Reza Deghati, photo journalist and National Geography Photographer, who has Ten Lakh Eight Thousand images in his career spanning 40years. Reza’s award-winning images are iconic. This 65years old French and Iranian national from Paris has covered much of the globe for National Geographic Magazine. 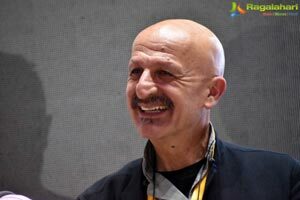 Reza Deghati, is one of the best-known photojournalists in the world. He has been traveling the world for 30 years, criss-crossing more than 100 countries, photographing conflicts, revolutions and human catastrophes. His photographs have been distributed through international media such as Time, Stern, Newsweek, El Pais, Paris-Match, Gio, and in books, exhibitions and documentaries by his own agency, Webistan. Reza served as a consultant to the United Nations in Afghanistan, helping to distribute food to populations in war-torn parts of the country. He photographed for UNICEF . He has also photographed for Figaro, Vanity Fair, and the New York Times Magazine. He spends much of his time as lecturer, trainer, and visiting professor, giving presentations and running workshops on global issues. His humanitarian work and photojournalism have been recognized by international institutions and universities, including Stanford, Beijing and George Washington University to name a few and others. 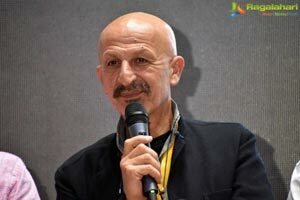 I would have died 100 times while shooting war photos, Reza Deghati informed. I have walked 3000kms in the mountains of Afghanistan to get right pictures of the war zone, Reza Deghati announced. He travelled three days from Argentina to reach Hyderabad. I am a visual storyteller, he announced. Make sure you have your own signature, he told fellow photographers. Different people click pictures for different reasons. I click for humanitarian reason. I have chosen humanity as my reason to click pictures, he shared. In his two hours presentation there was a pin drop silence as he is the most sought after photographer. Photography for me is the tool that helps to fill injustice. And he showed how few pictures he shot ensured justice to the people affected. 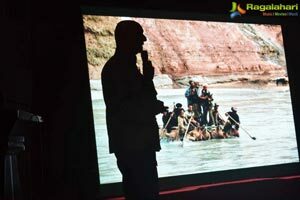 He has showcased some of the rate and iconic pictures he shot travelling well over 125 countries. I don’t know how many passports i have exhausted. I don’t have a count of it, he says. Speaking about the flight of the refugees and people of the war zones, Reza said “Politicians are using religions to create conflict and war”. We have killed more people in the name of the god than any other name on the earth. It pains me, she said. Emotion and blood is the same for the mother of the black or fair skin coloured soldiers when they die, he said. I locked my self for 74 hours, went fasting just to know the feelings of hunger people before i went there to shoot them, Reza shared. The photo exhibitions of the war pictures i organised united few families who went missing from each other. Photography for me i a human connection, he told the gathering. I have authored 31 books so far. I train war refugees in photography and videography. One who got trained by me also won Pulitzer Prize in the year 2012, he said. 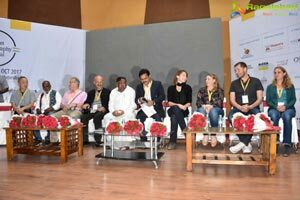 The objective of Festival, according to Aquin Mathews, Keralite, living in Hyderabad and Australia is the host of the festival, is to bring international and local talent on one single platform, help them learn from each other. “Photography is a universal language”, says Aquin who is a self taught photographer. It is a great educator. Through photography we can understand what a war or Tsunami is? It has the power to move. It brings history live to the future generations. It has power to change society informed Aquin Mathews while welcoming the gathering. There is a lack of exposure for photographers in India. Through this festival we would like to bridge the gap says 35years old Management Graduate turned photographer.